The Maine potato industry and growers across the nation could benefit from a financial victory that U.S. Sen. Susan Collins (R-Maine) secured in the fiscal year 2019 Appropriations Minibus that recently passed in the Senate. PRESQUE ISLE, Maine — The Maine potato industry and growers across the nation could benefit from a financial victory that U.S. Sen. Susan Collins (R-Maine) secured in the fiscal year 2019 Appropriations Minibus that recently passed in the Senate. Collins, a senior member of the Appropriations Committee, advocated legislation that will include $2.75 million in funding for potato research and $20 million for the U.S. Department of Agriculture’s Integrated Pest Management Program, which supports the work of the University of Maine’s Cooperative Extension Potato IPM Program. The $2.75 million in funding is a $250,000 increase over last year. Collins called it a significant victory, especially for the state’s potato farmers. She noted that it passed in the Senate by an overwhelming majority of 83-15. The bill also includes language authored by Collins to give schools the flexibility to provide potatoes through the School Breakfast Program. Don Flannery, executive director of the Maine Potato Board, was optimistic on Thursday. While he noted that Maine will only get a portion of the nationwide funding, he said any amount will be beneficial. He said that the integrated pest management program is especially valuable to growers because it helps them maintain the quality of their plants while minimizing the reliance on pesticides. That way, they are not spending money that they don’t have to on crop protection. 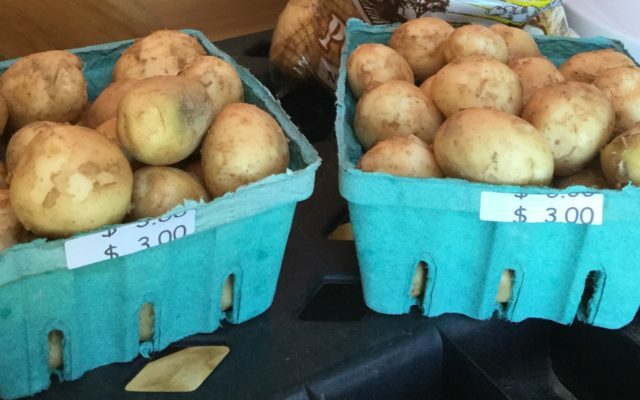 The program also provides up-to-date potato insect and disease scouting and forecasting reports to potato growers and industry professionals in central and northern Maine during the growing season. Flannery said potatoes should be included more in the school breakfast program, and that Collins has fought to keep spuds in the school lunch program. In 2011,Collins led the successful fight with other members of the state’s congressional delegation to overturn a USDA rule that would have strictly limited servings of white potatoes in the School Lunch Program and would have banned potatoes altogether from the School Breakfast Program. She also was instrumental, with support from Sen. Angus King, I-Maine, in successfully securing a provision in the 2014 appropriations bill that required fresh white potatoes be included in the federal Women, Infants and Children supplemental food assistance program. The USDA had banned the purchase of fresh white potatoes with WIC subsidies since 2009. The Appropriations Minibus will now be considered by the U.S. House of Representatives.